Training with master in Taoism Temple of Kunyu mountain. When the snow settles like falling angels at top the Kunyu Mountain peaks, it makes for a lively scene. It reminds us of the remarkable year of 2018 that is soon to pass. 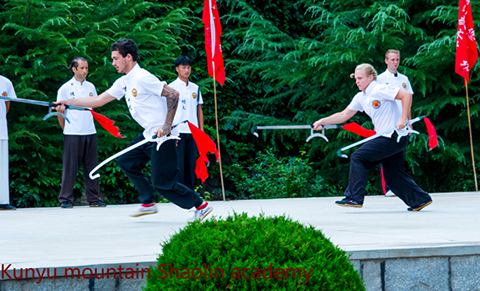 With each passing day, Kunyu Mountain school welcomes lots of new foreign students who have plenty of passion and expectations for Chinese martial arts. At the same time, we have said goodbye to those well-achieved old students with endless attentions and love. All the classes fulfilled the teaching tasks completely and achieved even more than those of past years under the efforts of all masters as well as the support of the translator team. 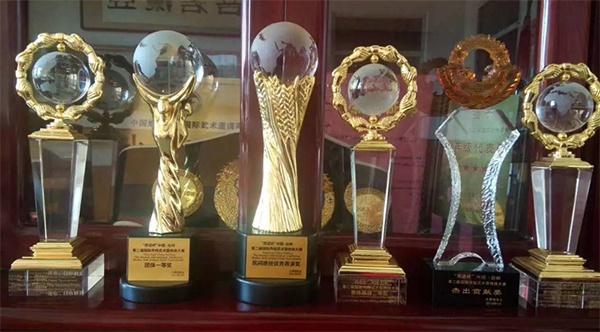 Honestly, all these achievements are closely related to everybody’s passion for Chinese martial arts as well as the remarkable examples set by some old students, especially those excellent international students. 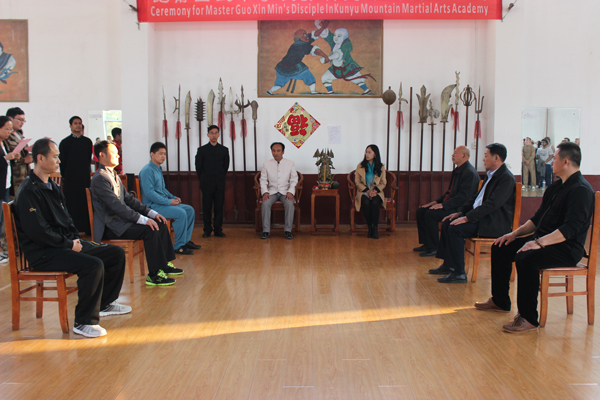 As a matter of fact, all the masters, including our headmaster, used to be students who loved and worshiped Chinese martial arts, they know well the hardships that you have to endure to get the real kungfu and the limitless charm of this traditional art. Today, we come together at Kunyu Mountain, the birthplace of Taoism, and create Kunyu Mountain Martial Arts Academy—a platform to spread traditional Chinese culture. 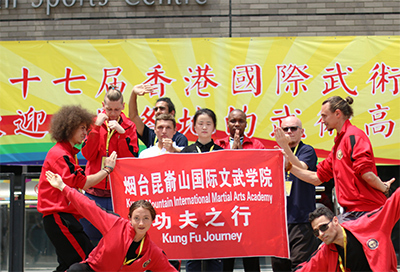 Our only purpose is to try our best to help more martial arts lovers with their Kungfu dreams and to pass along Chinese martial arts as a traditional, cultural treasure. In order to create a suitable teaching and training atmosphere, with the leadership of headmaster, all the masters started to search for better management to ensure that those practical training plans can work out efficiently. During that period, we overcame the inconvenience caused by the language difference and all kinds of obstacles between Chinese and Western cultural backgrounds. Meanwhile, we listened to everybody’s constructive suggestions sincerely, doing everything that we could to build a harmonious training and living environment filled with love, just like a big family. 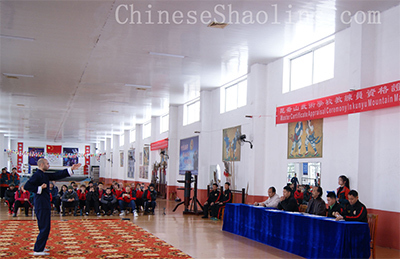 Now, besides the attractions of martial arts, students can still be inspired and encouraged by such a nice atmosphere, to help students to get rid of bad habits and pains from their hard training and finally reach a higher level in Martial arts and its spirit level. 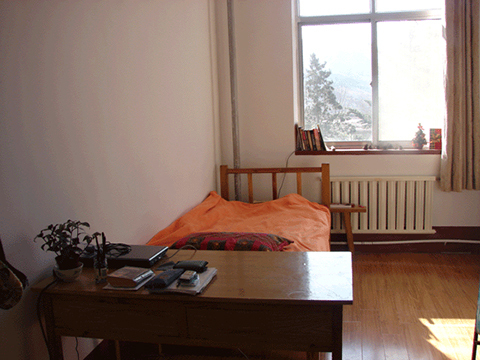 In order to make this aim come true, we developed more hard-working and professional work staff, but I also hope those new students who already arrived and those who are coming in the near future can train hard and actively in spite of any difficulties by following the examples of all the old students, excellent students. We still hope all the students can respect masters, get along well with others, focus on training, and play their part in helping and encouraging newcomers.We hope all the students will be proud of being students of this school and offer some constructive ideas for the better development of our school. Our school will be so proud of nurturing excellent students like you! 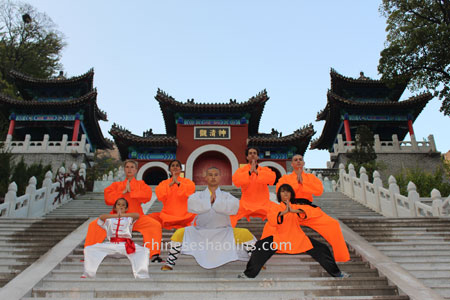 Generally speaking, the Chinese martial arts spirit, connotation, encompasses Confucianism, Taoism and Buddhism culture. In China we have a saying that being civil can bring peace and the military can bring stability. In traditional Chinese culture, we seek to attain the highest realm of Taoism, in the martial arts world that means having a balanced pan. The martial arts seeks the highest ideal of making heaven and people one. 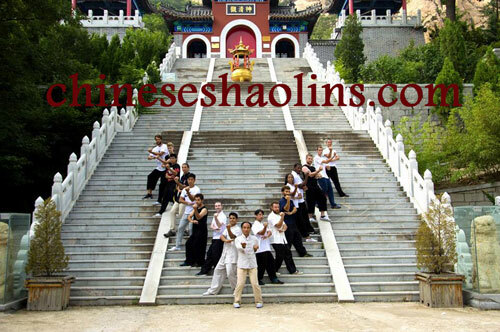 The martial arts spirit is also a reflection of the national spirit for self-improvement. 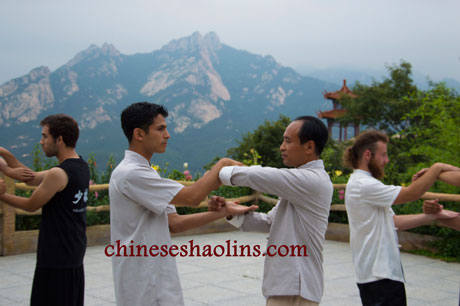 Chinese Martial Arts is an important part of Chinese traditional culture. Its spirit can represent splendid temperament and lofty spirits. If hoping to achieve more in Martial Arts, we need inherit and pass on this spirit, making a more harmonious environment, thus reaching the highest state in techniques and personality. All in all, we expect all the students will help masters to inherit and carry on the martial arts spirit and create a harmonious training atmosphere for a new, higher target in the new year of 2019.